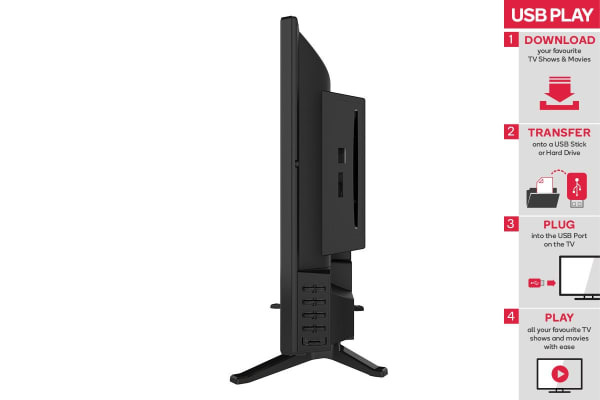 This fantastic TV is completely versatile, with a DVD player, USB input, HDMI and a PVR that lets you pause, rewind and record live TV. Perfect for bedrooms, kitchens, students and more! 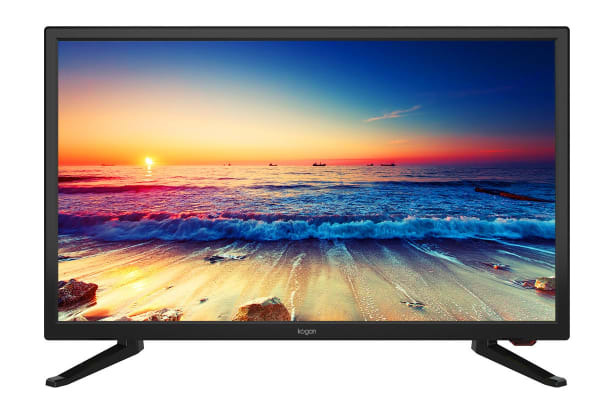 Enjoy the freedom to watch what you want, when you want with the Kogan 24” LED TV & DVD Combo (Series 6 EH6000). The built in PVR and Electronic Programme Guide let you pause and rewind live TV as well as record your favourite shows onto USB for playback later. All this crammed into a slim, compact TV that can fit anywhere from the kitchen bench to your desktop workspace. The Parental Lock function and sleep timer also makes it the ideal choice for children’s bedrooms; you can just pop in their favourite movie, set the timer and let them watch worry-free. Want to make this for your new caravan, coach or boat TV? Purchase a travel friendly 12V Car Lighter Power Adapter here. 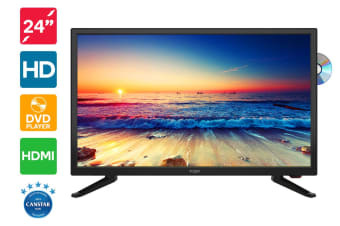 Using the 12V power adapter (sold separately), this TV can be powered directly from a 12V power outlet found in most cars, caravans and boats. Packaging and delivery very good, unit appears to be very good but as it is used in our caravan, will know more later after use.